An exciting day with 20-25 knots and gusts up to 30 knots. The challenging conditions led to many deciding to stay on shore, with 73 boats taking to the water out of the total entry of 169. 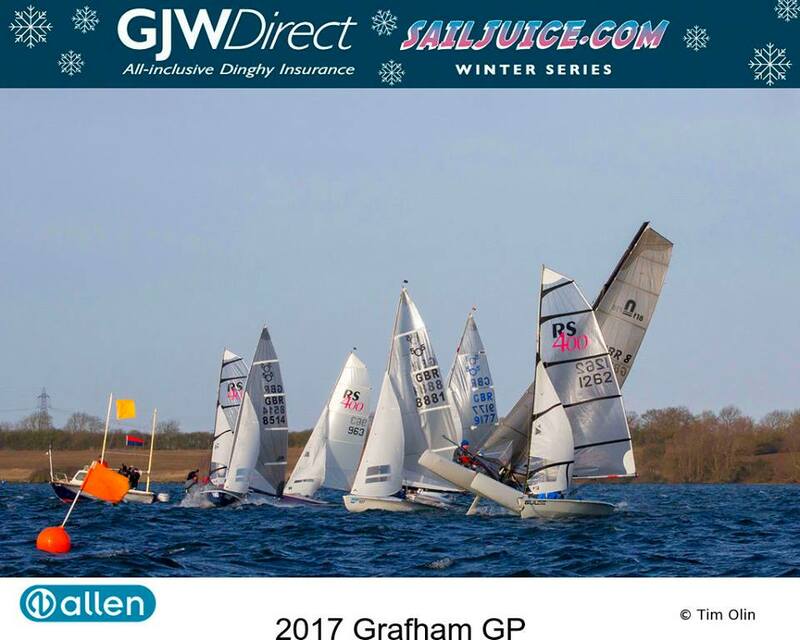 The conditions in race 1 took their toll on the fast fleet with many retirements, the wind dropped for race 2 and then picked up again towards the end of race 3. Those who competed enjoyed exciting racing. The fast fleet was won for the second year running by David White and Jon Sweet from GWSC in a Nacra F18. Winner in the medium fleet was Stuart Jones from Datchet Water in a Contender and the slow fleet was won by Fergus Barnham and Andy Hunter from Snettisham Beach in a GP14.